Dr. 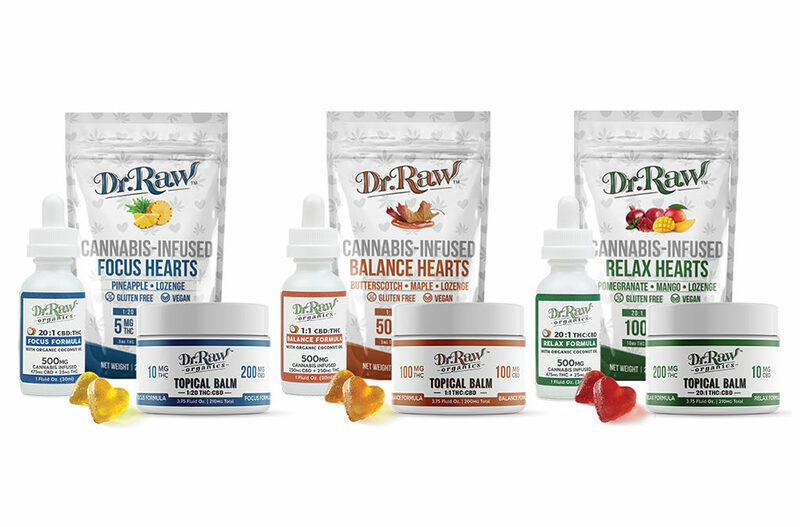 Raw has infused cannabis products down to a science with three iconic formulas: Focus, Balance, and Relax. Each provides its own experience that’s based on several years of customer feedback and preference. Dr. Raw also created three delivery systems for their formulas: a lozenge, tincture, and balm. Each formula and each delivery method was designed with a specific purpose in mind. 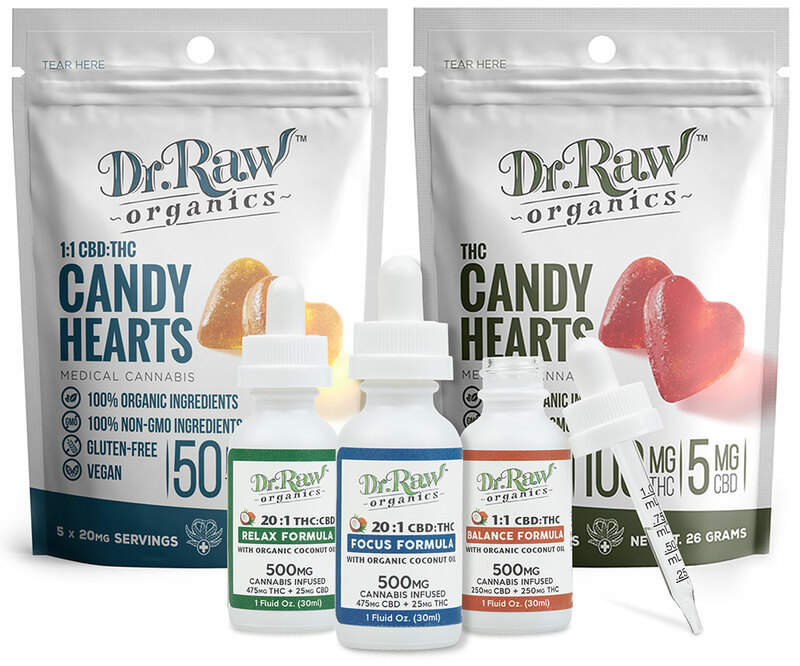 The edible heart lozenges provide a sublingual effect allowing consumers to feel the effects in just minutes, while other edible products have a 1-2 hour onset time. The formulated tinctures may be used topically, sublingually or added to food or beverage. The topical balm is a non-greasy blend of all organic ingredients making it easy to apply smoothly to areas of the skin. The Focus Formula is a 1:20 THC:CBD ratio, which causes little to no euphoric effect and a calm, alert feeling. Focus Formula is recommended for folks seeking a calm, focused mindset and relief from common ailments, without any of the ‘high’ or buzz. The Balance Formula is a favorite formula of Dr. Raw fans, offering equal parts THC and CBD. In a 1:1 THC:CBD ratio, these two harmonious medicines act together to give consumers a sensational experience that lifts mood and energy. Expect to radiate a warm glowing smile while maintaining mental and physical function throughout the day. Balance Formula is recommended for folks seeking inspiration, playfulness, and happiness. 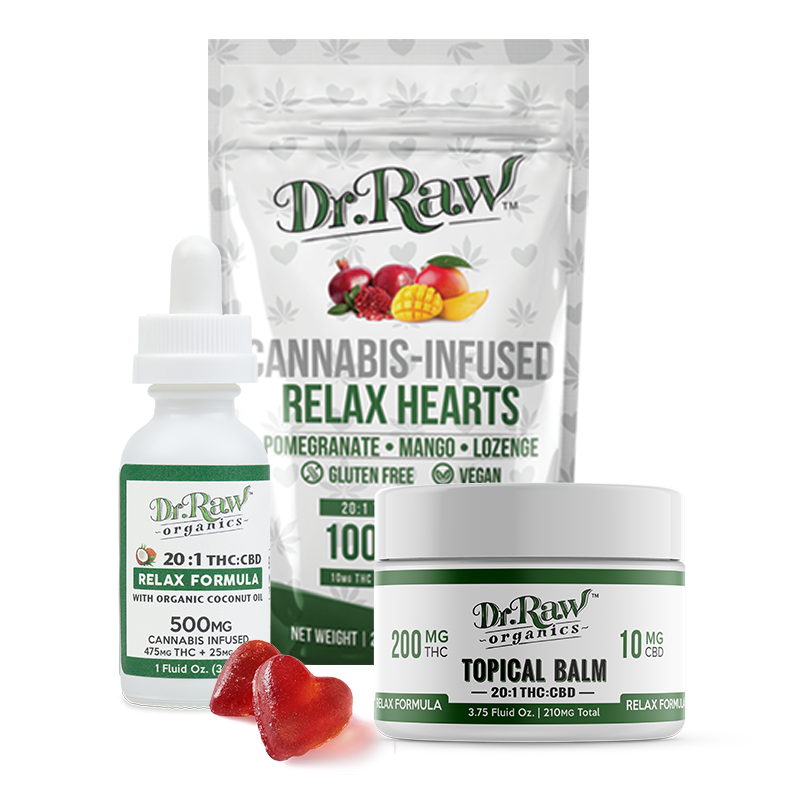 The Relax Formula is for those seeking a magical, sensory experience through its high THC formula, 20:1 THC:CBD. Enjoy a deeper sensation of relaxation and some mental and physical euphoria. Early on, Dr. 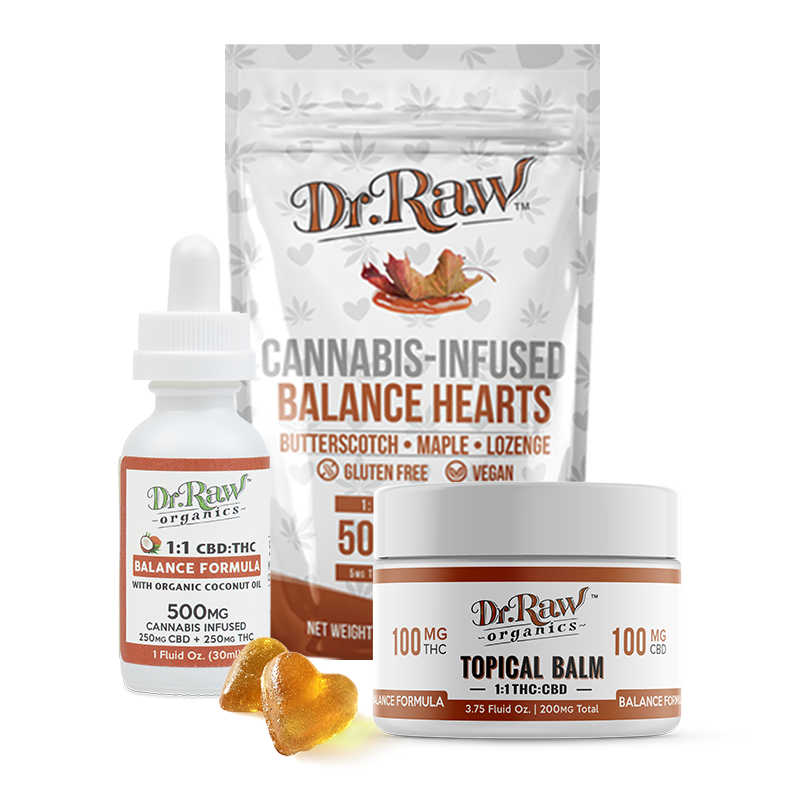 Raw worked directly with medical patients to design formulas that suited their specific needs. 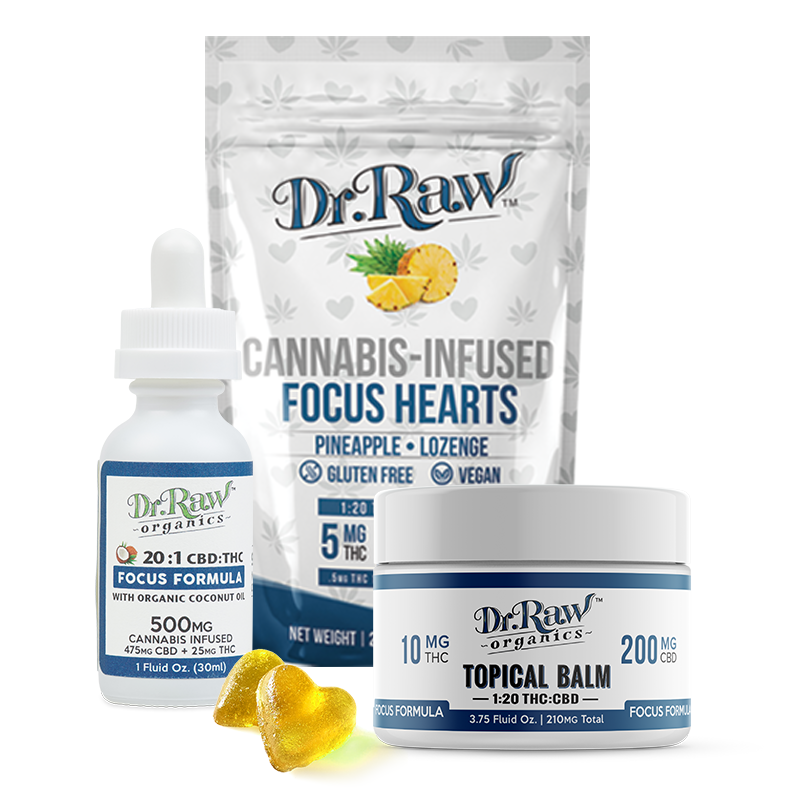 Dr. Raw’s cannabis oil infusions are carefully crafted with a scientific approach. Terpenes have been removed from our cannabis oils which allows for an highly consistent effect with each use. Each product has 100% organic, NON-GMO, Pesticide FREE ingredients. Register to become a partner dispensary today and start giving your customers the Dr. Raw Experience.